These Diy Wood Signs And Farmhouse Style Tray with the mason jar were handmade gifts for my daughter and her husband. My youngest daughter and hubby have the same taste as my husband and I have. They are always sending me pictures of things that they want me to make. I was rushing around trying to get all of this done before we went to see them for Christmas. I got them all finished, then I came down with a stomach virus, and was sick for a week. So we didn’t get to go for Christmas. We did manage to get to see them the following week, but had a shorter visit then planned. 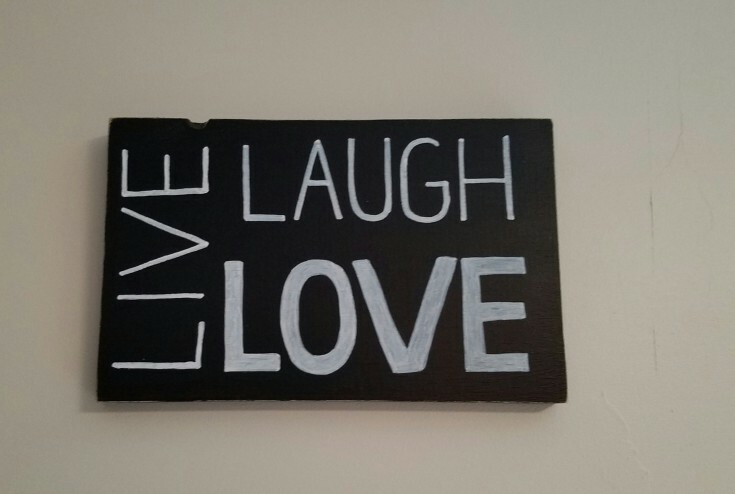 This first sign was one that I made from wood and a decal that I had bought at the dollar store. I first painted the wood white, then gave it a light sanding. Then I placed the decal on the wood and applied two coats of Mod Podge over the whole front of the wood sign. My next sign was first painted with black chalk paint, then I used carbon paper and added my wording, because I didn’t have the correct size of stencils for this sign. So instead of hand-painting the words I used my paint markers. That made it so much easier. Then I gave it a light distressing, and covered it with Mod Podge for protection. 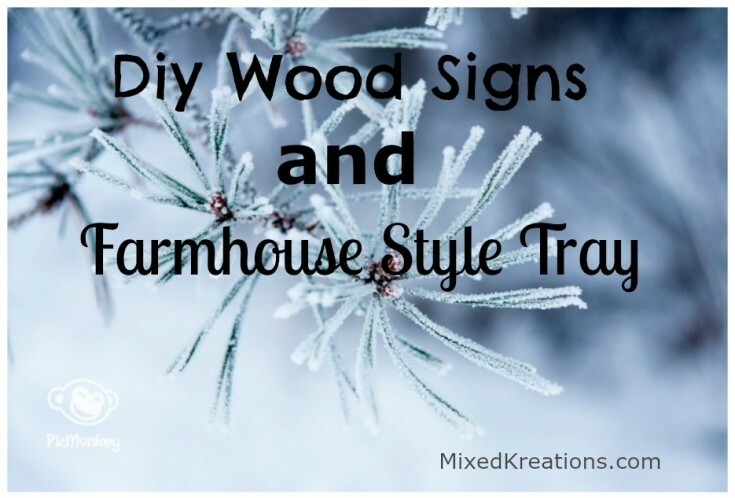 Diy Wood Signs and a Farmhouse Style Tray with a matching mason jar vase. On the Good Eats sign after I painted the wood white I used my stencils to add the lettering. 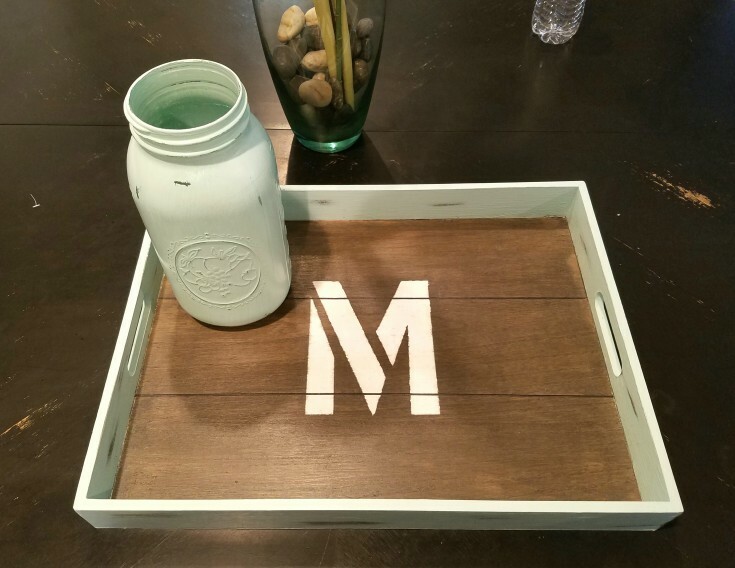 This wooden tray and mason jar were a complete surprise for them. They sent pictures for the good eats, and live, laugh, and love sign, but they didn’t know anything about the tray and jar. I wanted to surprise them with it because the week before they were busy repainting their kitchen, dinning, and living area. Deciding that they wanted to go for more of a farmhouse style. They were going to use a mint green, and a light blue to add some pop of color. So the wood tray and mason jar were painted a mint green color, then distressed. For the bottom of the tray I used my wood aging solution to darken it, then I stenciled a large M for the initial of their last name. 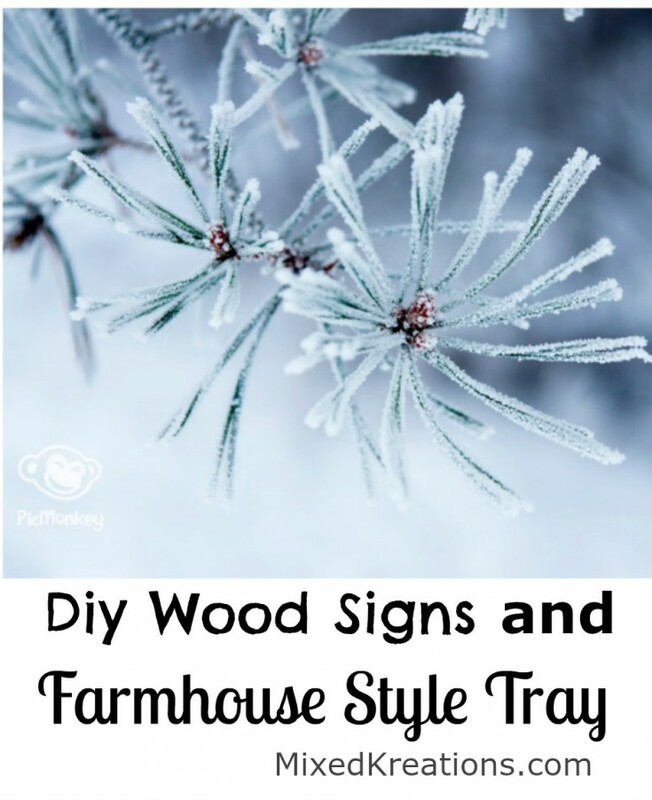 I was happy that they loved the Diy Wood Signs And Farmhouse Style Tray.